French Photo Du Jour: Where's the Good Stuff? 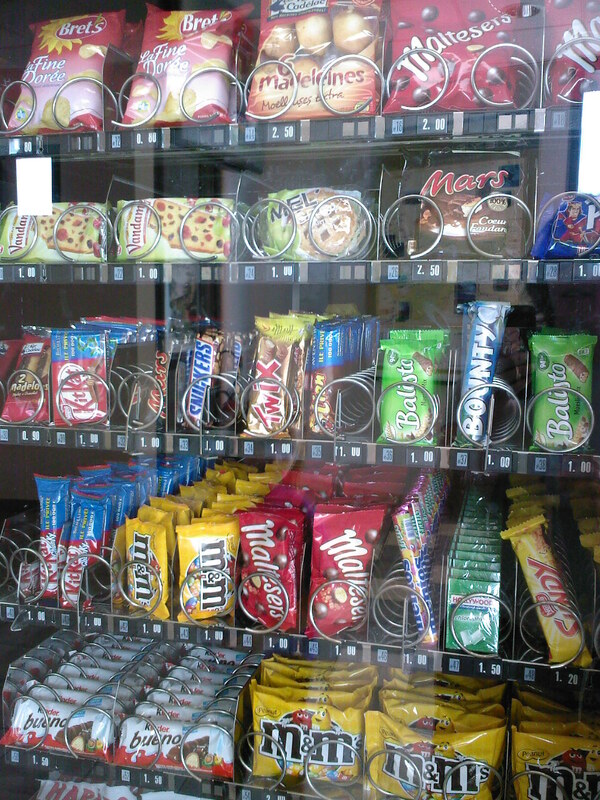 I'm always disappointed when French vending machines contain almost no French candy or goodies.... I mean, if there's gonna be this much American stuff, at least offer me some Reece's Peanut Butter cups!